Arriving in Vegas early Monday morning for Pubcon 2010 was thrilling in many ways. The largest thrill was this being my first conference in the SEO/SEM world. As well, I hadn’t been to Vegas since the early 70’s; I knew I was going to see a city that had grown exponentially. High couture fashion stayed in the hotel closet; most were running around in Bermuda shorts and Bon Jovi T-Shirts – not something I wanted to compete with. The lights, glimmer and nightlife didn’t impress me; maybe because I’ve been around the world a time or five. As much as I would have loved to catch a Las Vegas show like Kau or Rod Stewart at Caesers Palace, the only thing I managed to catch was a bug from one of the participants. 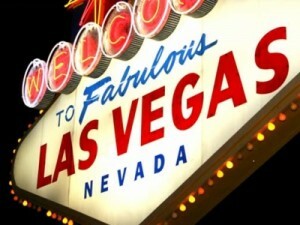 I now have a horrible head cold, and the cold nights in Vegas didn’t help. I paid a daily fee for WiFi – an insult, considering the WiFi wasn’t; I had to plug into an Ethernet cable. The customer service sucked and I’ll never stay at a Harrah’s casino again – ever. In fact, after I write this I’m going to give them a strongly worded review on Yelp. Speaking of social media sites like Yelp, that’s one thing made clear at Pubcon. Social matters. Whatever business you’re in, if you’re not planning to integrate social media into your business strategy, start planning to be left behind. It’s not a matter of trying all social media sites to see what work for you, however; it’s a matter of building a strategy with the right sites and making those work for you. After it was all said and done, I’d have to rate Pubcon as a 10 on a scale of 1-10. The speakers were wonderful and the content discussed was great; however, the high rating is due to the networking aspect and the ability to meet many fantastic industry people. That in itself was worth the price and so much more. On a bright and crisp Tuesday morning in Vegas, the kick off Keynote speaker was David Pogue, a New York Times author and columnist. For 10 years, David has been posting great technology info for the NYT. He’s also a CBS News correspondent (Emmy-winning correspondent, at that!) and the creator of the Missing Manual computer book series. It was great to see him again; he’s witty, always has the latest on technology and is a true Macintosh advocate. Getting into the meat of the conference, however, I have to admit that listening to the likes of Tim Ash and Ted Ulle was an SEO/SEM geek’s dream come true. Tim is the President and CEO of SiteTuners, author of Landing Page Optimization: The Definitive Guide to Testing and Tuning for Conversions, and a 20 year Internet veteran (among a slew of other things). Ted is a Senior Search Analyst and search marketing pioneer. He’s also an advisory board member and administrator for Webmaster World and a senior editor for Search Engine Marketing Journal. These two speakers alone made Pubcon worth it. As we’ve said before, it’s easy to make a good or bad impression. Once that impression’s made, however, it’s hard to change. In short, a bad impression could kill a conversion. For example, if your company is registered with the Better Business Bureau, use the seal they offer. If you’re an ecommerce merchant affiliated with the BuyerTrust program, have an SSL (secure socket layer) certificate or other buyer protection, show it off. Clutter isn’t something you’d associate with business; clutter is what happens when you’re at home. Keep your website looking professional and streamlined; instead of shoving things on the page, think things through. Do you have connections? How about superstar connections? Sometimes it really does come down to whom, not what, you know. Don’t be afraid to use your connections to “borrow” some of their authority and credibility (otherwise known as name-dropping). How does it make you feel when you have to sign in to a site to comment on a post? Some just shrug it off, but the more information you ask for, the more vulnerable your visitor is going to feel. If you have to have a sign in, keep it simple. If you don’t have to have a sign in, give your visitors free reign throughout your site. Do you have a service or product your clients would be happy to promote? Turn your logo or other images into seals; make a design out of them. Anyone who wants to can take these seals and put them on their site, making for great, free advertising. You can’t build a strong website based on theory. If you’ve built your navigation / site structure, and even once used the words “I bet”, “I guess” or “probably, rethink what you’ve done. Study your market first. With an application, the user has time to figure out how to make it work. Your website, however, can’t be traversed through guesswork. It needs an immediate, intuitive navigational structure. If even you get lost on your site, rest assured your visitors will. Categories are often based on the company mindset, not the user mindset. Unfortunately, categories often end up hiding information that might be important to the user behind hover and dropdown menus. Keep the important stuff upfront and easily accessible. “Three clicks deep is as far as any visitor will go”. This is often called the “3-click” rule. However, the truth is people will go up to 15 clicks – as long as you give them a scent of the information they’re looking for. If you do it right, they won’t mind looking that far. Several comparisons, surveys and studies have pointed out that we’re hardwired to the number seven. More choices than this can make it hard for a visitor to make a decision; they simply decide to go somewhere else. Keep your menu to no more than 6 or 7 choices. If you meet someone at a party and all they want to do is talk about themselves, what do you do? You run… quickly. Your visitors will, too. Where possible, talk about them; reach out to them and let them know you understand their needs. Of course, these are just a few of the points discussed at Pubcon, but I choose them from the masters. Take these pointers and start applying them to your site and strategy!